Now, this has got to be one of the most interesting vehicles India has seen for sometime. 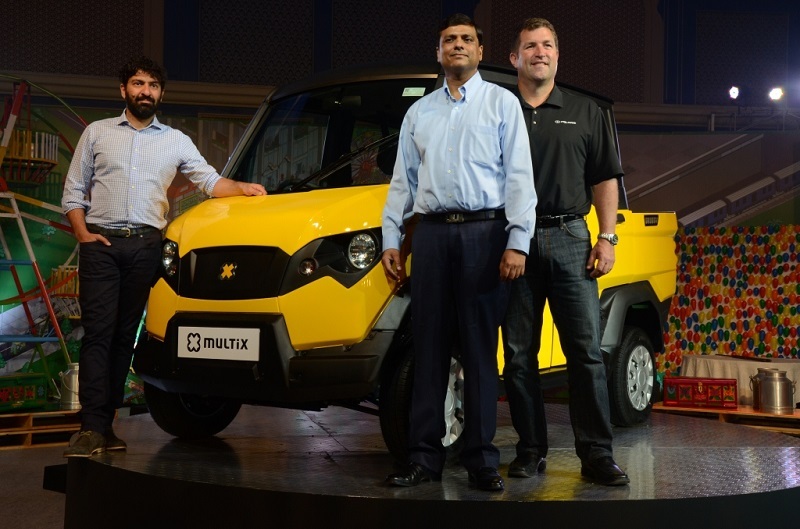 Eicher Polaris’ joint venture has, today, launched MULTIX, citing it as India’s first Personal Utility Vehicle (PUV). Back in April 2014, we carried out the first ever spy pics of (what is now known as) Multix. Obviously, we did not have many clues back than but now the product is right in front of us.. According to Eicher Polaris, Multix is an adaptable 3 in 1 vehicle for personal and business purposes. In straight terms, it is a pick-up which can be a people carrier, luggage carrier and an off-roader of sorts. Multix is powered by a BS3 single cylinder 510.7 cc direct injection naturally aspirated diesel engine which churns out 9.92 PS of peak power at 3000 rpm and 27.1 Nm of maximum torque between 1400 to 2200 rpm. It has a very impressive ground clearance of 225 mm and an ARAI certified fuel efficiency of 28.45 kmpl. It can seat 5 people apart from carrying stuff at the bay. In terms of volumes, Multix has a boot space of 418.3 liters which can be expanded to 840 liters (with optional rear cover). Another striking feature of Multix is the X-Port, which is a power source and can generate 3 Kw to light your home, drilling machines, DJ Systems, water pumps etc. There are two variants of Multix on offer and we will talk about the product in detail in a separate article. Multix has been priced at Rs 2,32,850 ex-showroom in Jaipur. Eicher Polaris tells us that they have invested 350 crores so far in the project and Multix is targeted at Independent Businessmen, which, according to them, have a population of 5.8 crores in India. 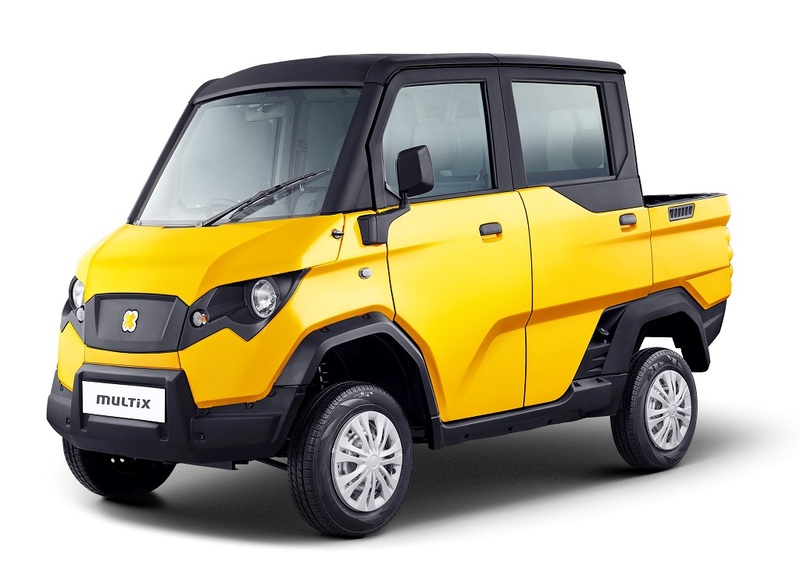 Multix will be made at Eicher Polaris’ new manufacturing facility in Jaipur, Rajasthan which has a capacity to produce 60,000 units annually and can be scaled up to 1.2 Lakh units. how make deler ship in ur area?